A - Open platinum/template/config.html, Change the "1" to "0"
*Prosilver must be "installed" and "enabled" for Platinum to work. *Original Platinum must be "installed" and "enabled" for the other colors to work. Last edited by jrolson on Mon Oct 17, 2016 11:57 pm, edited 17 times in total. I really liked the 3.0.12 style. Nice to see this ported over. Fingers crossed this will inherent from Prosilver this time around. If you made platinum the default, you will have to deactivate prosilver to fully switch users over to the new style, then you can safely activate prosilver again. Then click on "General" again and "Run now" under Purge the Cache. That made the Platinum come up in the front view. 2. 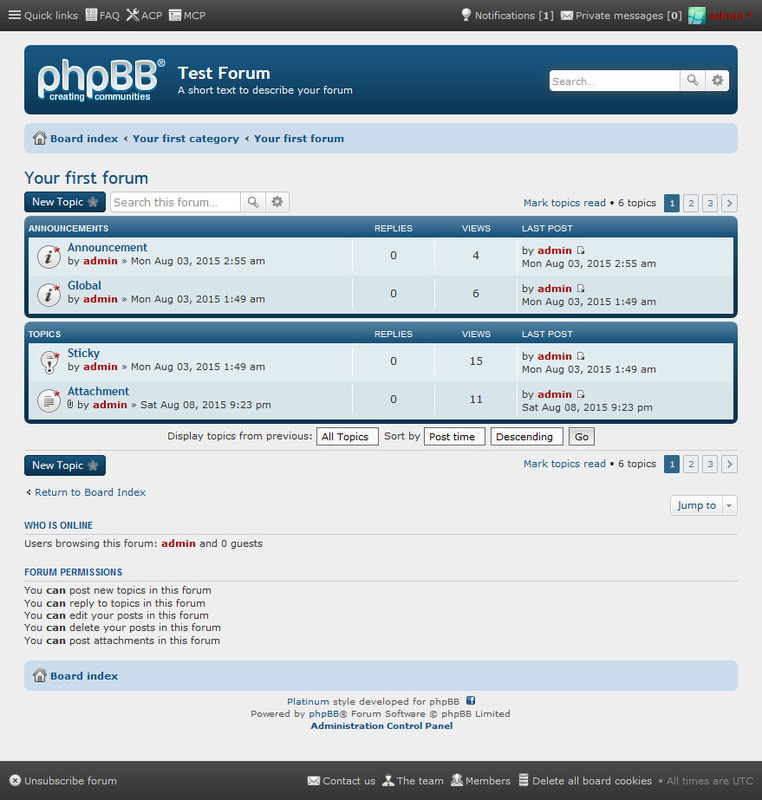 In frontend view, I have two large sections with 10 and 12 (sub)forums. They are not so nice looking, because in the middle, they kind of "fade" into white color. 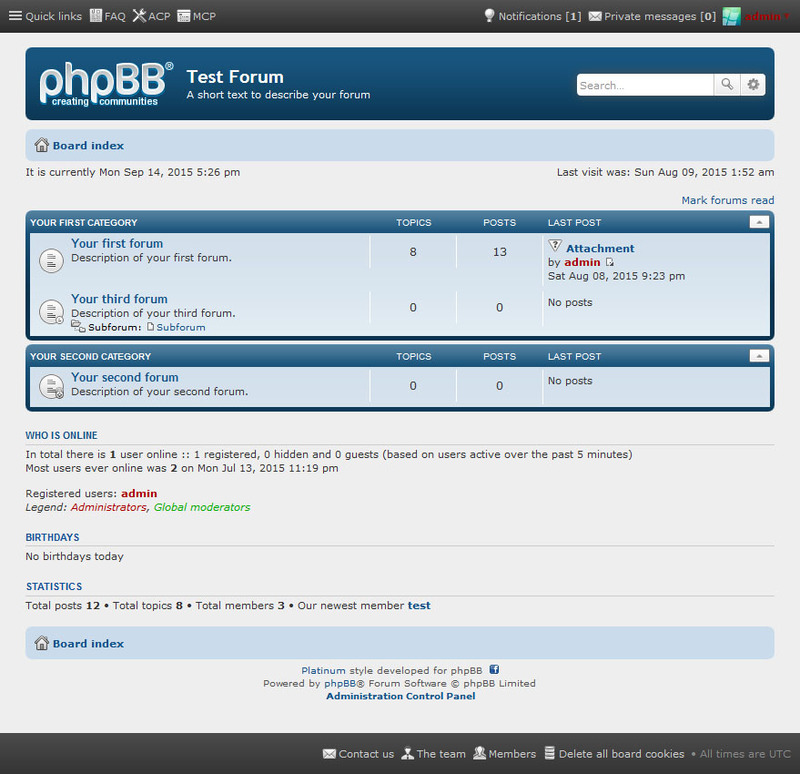 Under my other 3-(sub)forum sections, the blue color is much "warmer" and nicer looking. You'll probably have to take a look to understand my explanation. Question: Will it help to select "Yes" "Override user style" for any of the above problems? It didn't make any visible change. The 10 Subforums are on the main page, and "White"
When clicking on a single forum, i.e. "Brunei" it becomes much nicer, with 2 shades of blue and the yellow, when hovering the mouse over. Maybe I need to make the 10 sub-forums into smaller section of either 1,3 or 4, like with the others on the main-page? *Fixes an issue with mobile sizes not working on other colors of Platinum. I would like to have two columns in a somewhat darker colour, is that possible? The columns to be darker coloured are Topics (Onderwerpen) and Last Post (Laatste Bericht). Last edited by Abraham54 on Wed Sep 16, 2015 3:38 pm, edited 1 time in total. Wondering as have done a bit of customization to this theme how easy it will be to update once updates happen please. Looks interesting, think I'll give this a try. How to change the colour of members names in the top bar? The chosen colour makes names almost unreadable. And is it possible to change the colour of the top bar to?